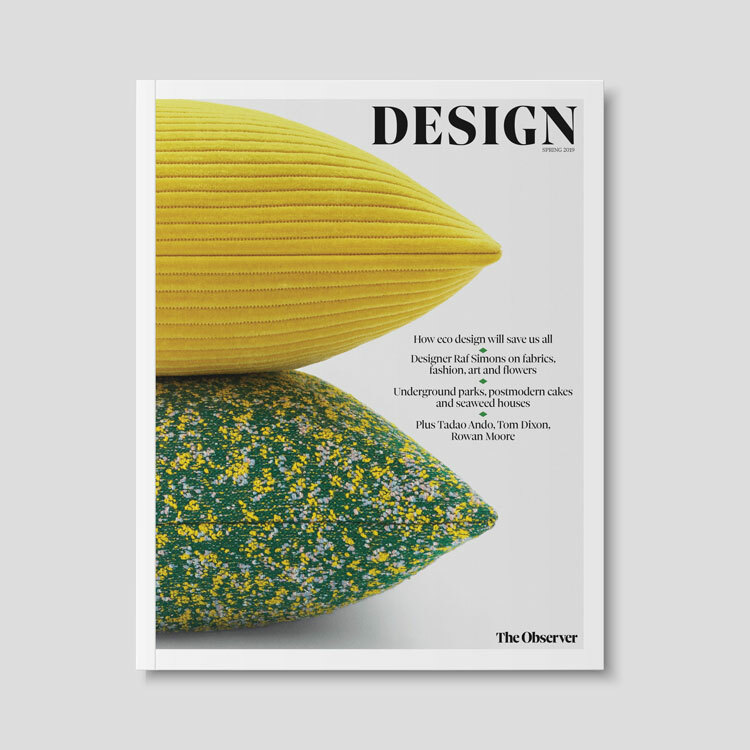 We caught up with Dominic Wilcox at the Design Indaba conference and talked to him about designing through making and why he is deadly serious about playfulness. 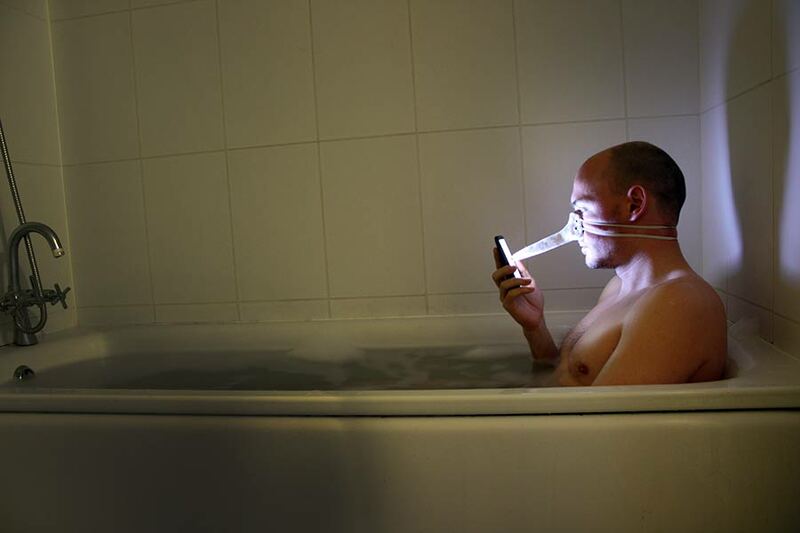 “I treat playfulness deadly seriously,” says Dominic Wilcox whose thoughtful, inquisitive and singular mind has engendered some of the most unlikely solutions to everyday problems. 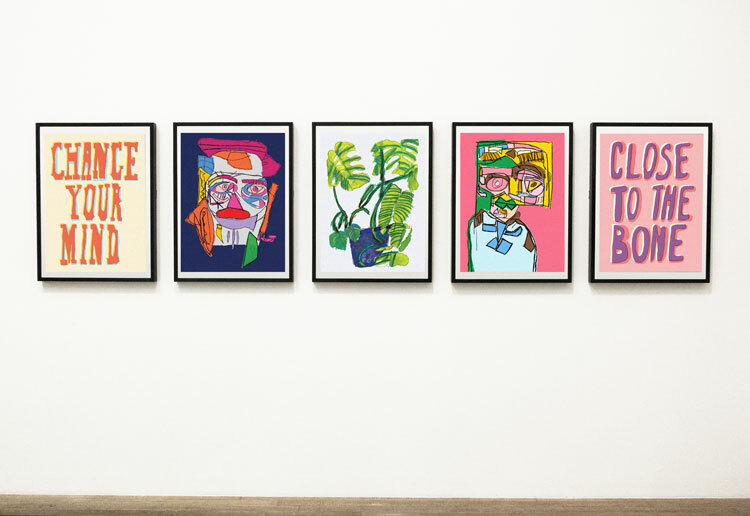 We caught up with Wilcox at Design Indaba, where he spoke about his work, which is undoubtedly about playfulness but also provides a witty, critical examination on all sorts of things and has brought about many commissions. 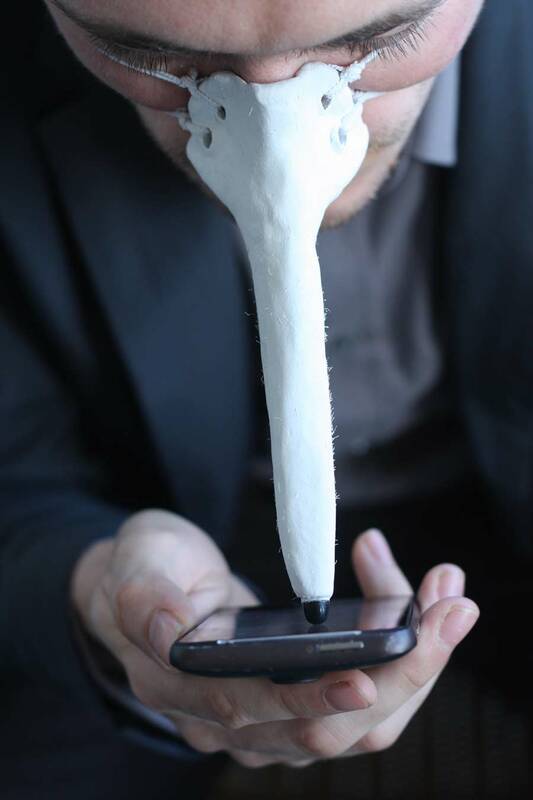 Our personal favourite is the Fingernose Stylus – designed for the moment you find that you want to read a text message in the bath but your hands are too wet for the touchscreen. 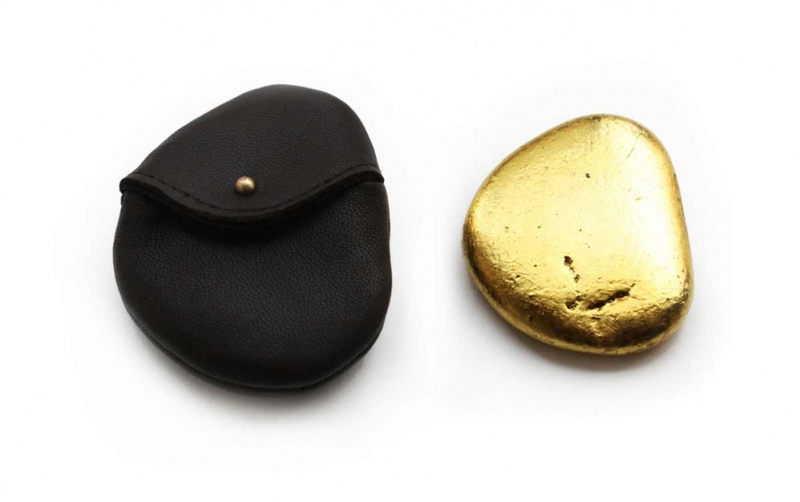 The project is “a conversation between me, my imagination and you” says Wilcox, and like lot of his work provides “a social commentary on our obsession with gadgets”. 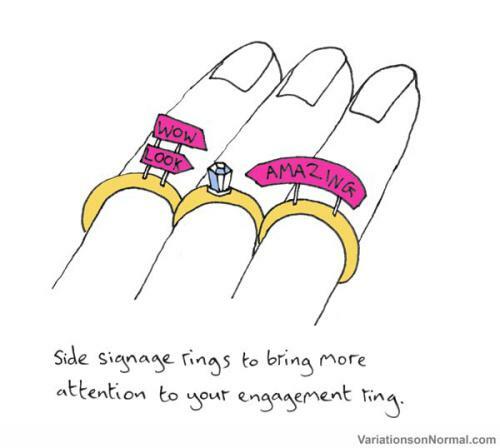 A lot of people come into contact with Wilcox’s work through his blog Variations on Normal, (which is also a book). “I put things out on the internet and then see what happens,” he says. At this point his ideas take on a life of their own. The Finger Nose Stylus for instance ended up on TV’s Room 101 where its satirical value was lost. It was touted by guest Rachel Riley as an unnecessary invention and rubbished by a studio audience. Still, last week his Reverse Listening Device was on the show. It allows the wearer to transpose sounds from the right to the left ear and vice versa, and went down a storm when presenter Frank Skinner demonstrated it. At the heart of his work – whatever the project – is the idea of “looking closer”, so the audience is also required to look closer. His No Place Like Home GPS shoes project was a commission by Northamptonshire County Council as part of its Global Footprint scheme, which was initiated to raise awareness of the shoe heritage of the area, that gave rise to Dr Martens and Church’s among others. The Council had an exhibition at the Northampton Museum and Art Gallery, which claims to hold the largest collection of objects charting the history of shoes in the world. It was Wilcox’s job to help promote it. Wilcox says his barometer of wearable tech’s effectiveness is “If it broke would I still want to wear it?” Taking this approach he designed a rather nice pair of fully programmable brogues working with Stamp Shoes to realise the design. On the tip of the left shoe he added a series of navigating LED lights in the shape of a compass and on the other a progress bar enabling the wearer to get to their destination by peering at their feet occasionally. 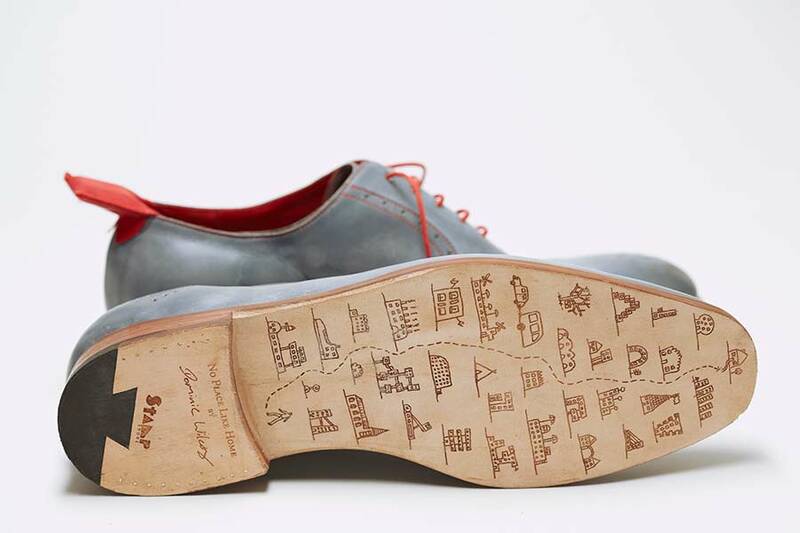 Note his doodles on the sole of the shoe showing a navigated journey. The shoes have since travelled to other exhibitions around the country backed by the government’s Innovate UK initiative although Wilcox tells us they weren’t walked there unfortunately. Another notable mention, his Speed Creating project saw him design 30 things in 30 days, stretching himself to make something everyday. One day he turned a fold-out tray on the back of a train into a pop-up book style collage that opened up to say “Hello Beautiful” amidst a woodland scene. 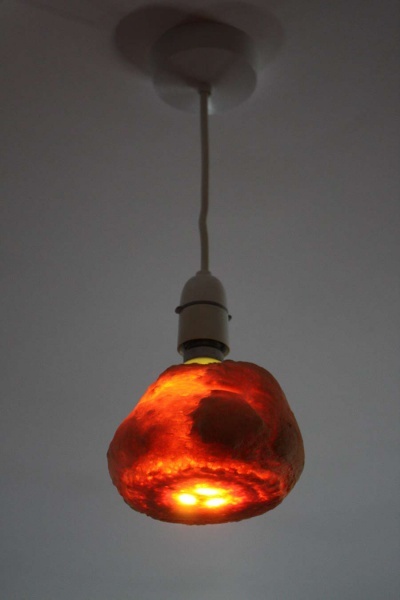 On another he embedded lightbulbs in dough, baked them and then screwed them into fittings before turning them on to create a warm glow. An unexpected side effect is “it makes the house smell really nice,” he says. It’s precisely this kind of frenetic designing and making that leads Wilcox to new projects. Although he doesn’t want to give too much away, right now he tells us he’s working on an unlikely commercialisation of a personal project. 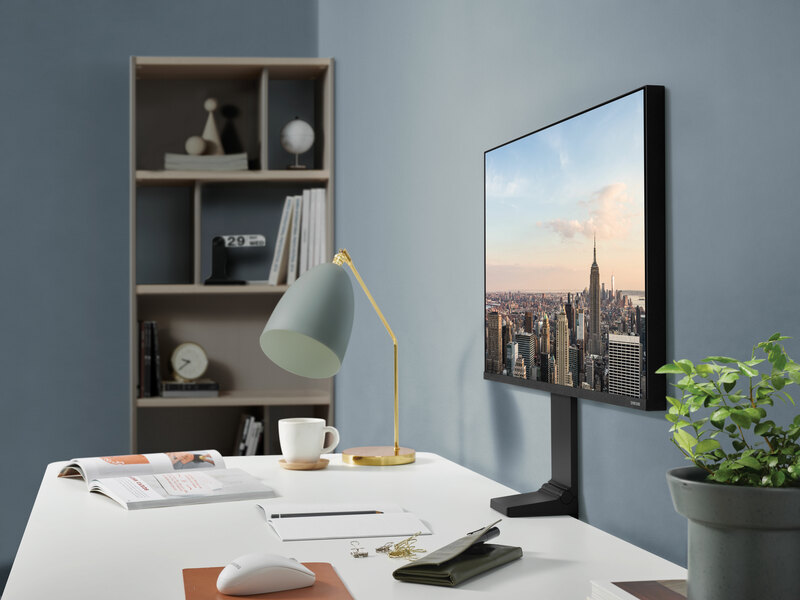 Wilcox, who graduated from the Royal College of Art in 2002, has enlisted the help of the college to develop the product and bring it to market. 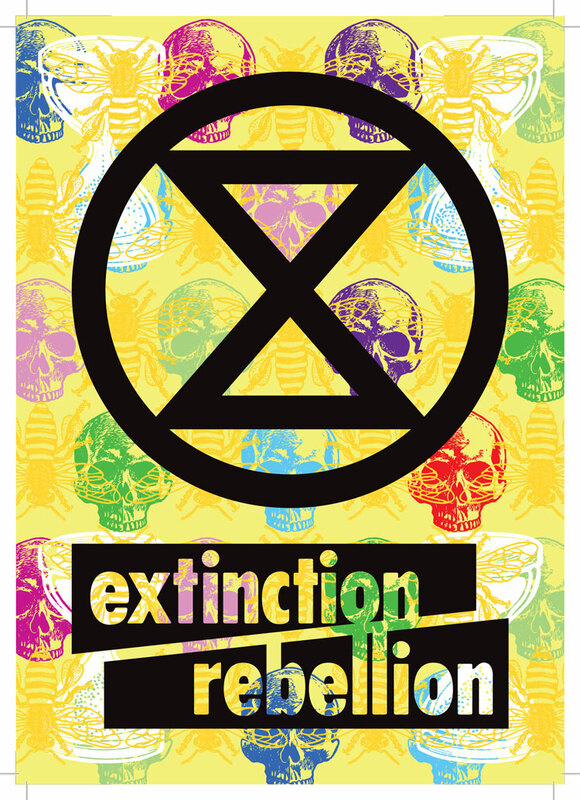 The RCA will get sponsorship from charities and also help protect the design. As the project is in its infancy and the design hasn’t been protected, Wilcox is understandably reluctant to tell us exactly what it is. 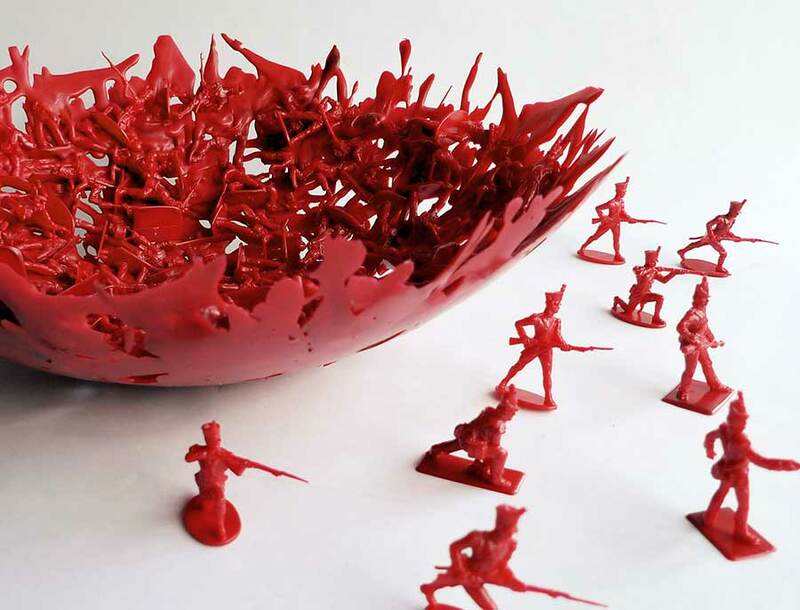 It was while at the RCA that one of Wilcox’s early projects, War Bowls, took shape – a project that is typical of his “thinking through making” approach. In this instance it was putting a load of plastic soldiers under the grill to see what happened. Wilcox rather liked the effect, so used some proper equipment and focused the idea slightly to create scenes such as The Battle of Waterloo and The English Civil War. He still sells them today. Many of Wilcox’s products have an unplanned longevity. 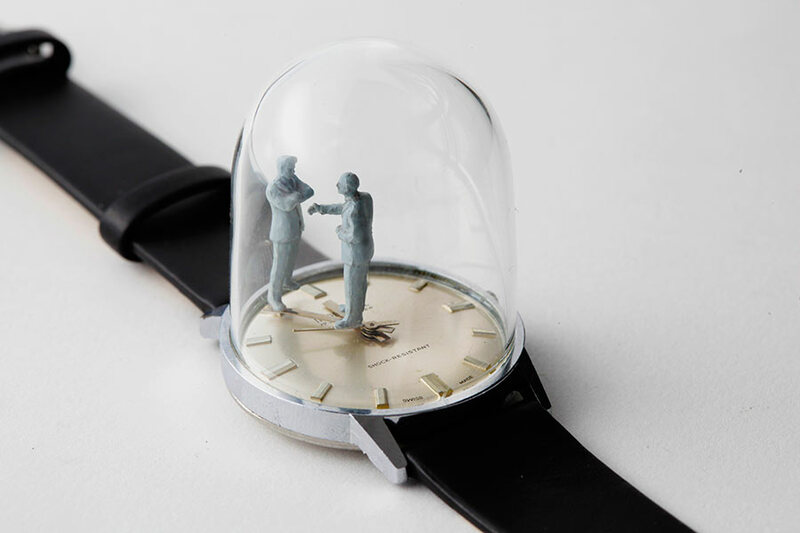 His rather beautiful watch sculptures, which he still designs, are the result of smashing the face off a cheap watch and seeing if the hands could support any objects. It led to these watch projects and his personal favourite The Unrequited Handshake. “Sometimes I think he’s going to put his hand out,” says Wilcox. He still releases them, but the idea has to be right, he adds. While the nature of his work demands that it comes from his own mind, Wilcox is not averse to collaboration. “I think my ideas are quite distinct in themselves but I like collaboration with people who have skills that I don’t have. I’m not so interested in working with people who think the same sort of things though. Sometimes he’d rather learn the new skill himself. 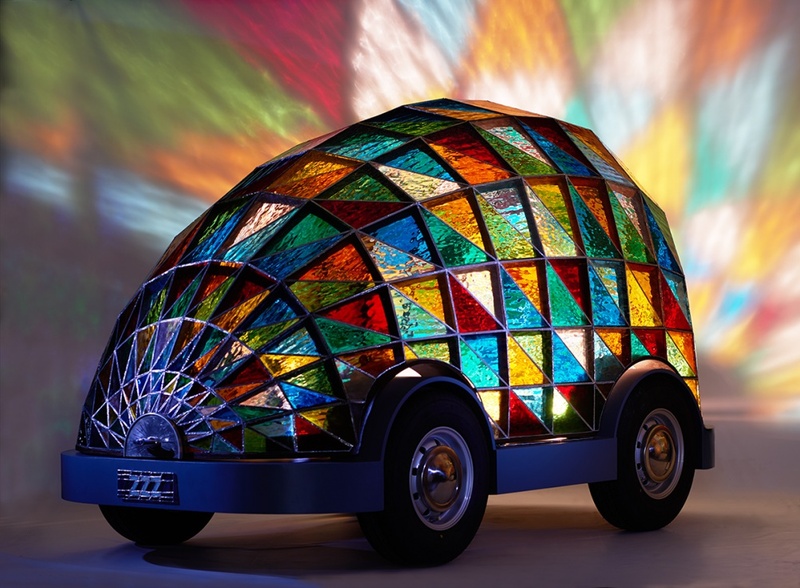 Recently he was taught how to make stained glass and enrolled on a course as he looked to create his “vision for the future of mobility” in a project for MINI and Dezeen at the 2014 London Design Festival. Taking the year 2059, 100 years after the launch of the original Mini, Wilcox imagined a driverless car so safe that it wouldn’t crash. 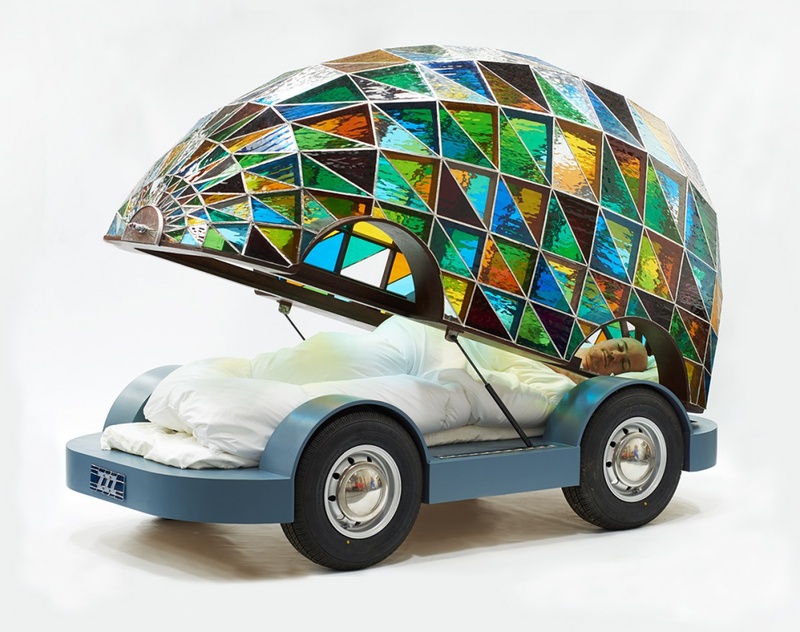 With no need for safety features he concentrated on creating something beautiful and, inspired by Durham Cathedral, created this, which allows you to sleep or rest on the way to your destination. Note that in a nod to the original MINI, he used an original set of MINI wheels. Whatever Wilcox is designing there is always a sense of wonder for an audience to relish, whether it’s a luxury 24 carat skimming stone, toothbrush maraca or a engagement ring with signage.